Soils and potting mixes that include compost produce healthier plants regardless of whether you're container gardening, rose gardening or vegetable gardening. Composting can reduce yard waste that needs to be hauled to the dump by anywhere from 50 to 75%. Using compost can help reduce plant deficiencies by improving your garden soil. 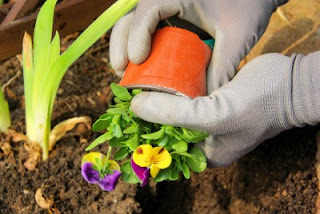 Adding compost is a wonderful way to boost plant health. Making your own compost is beneficial to you, your plants and the environment as a whole. Compost helps your garden, & your environment by reducing the amount of organic material that literally goes to waste in your local landfill. 1. Grass clippings add necessary nitrogen to a compost pile, but be sure to mix with the "brown" materials that add carbon. Both are necessary for quick decomposition and rich compost. 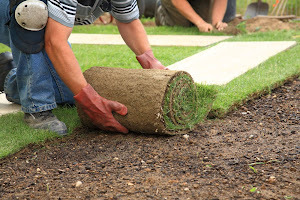 Piles made up of just grass will compact, slow down and start to stink. 2. Do not compost fats, pet droppings, or animal products. They will attract pests to the pile and can spread disease. 3. Newspaper or plain white paper from the computer is excellent for composting - just remember to shred it first to speed up the process. 4. Got compost? When finished it should look, feel and smell like rich, dark soil. You should not be able to recognize any of the items you put in there. 5. Worms love coffee grounds! 6. If adding ashes to your compost bin, do so sparingly. They are alkaline and affect the pH of the pile. In contrast, acidic materials include pine needles and oak leaves. 7. Plants that have been treated with pesticides and/or herbicides (weeds and lawn clippings) should be avoided. 8. The microbes responsible for breaking down your compost pile need a balanced diet of nitrogen and carbon. Nitrogen comes from green materials such as food scraps, manure, and grass clippings. Carbon comes from brown materials such as dead leaves, hay, wood chips and shredded newspaper. A ratio that contains equal portions by weight (not volume) of both works best. 9. Algae and seaweed make excellent additions to your compost pile. Be sure to rinse off any salts before using. 10. Finished compost is usually less than half the volume of the materials you started with, but it's much denser. 11. Keep your compost pile in a black plastic bin and in direct sunlight to continue the composting process through the winter. Hay bales can be used to further insulate the pile. 12. Wooden pallets make excellent compost bins. Start with one pallet on the ground. Drive two metal stakes into each side. Slide additional pallets over each support and you have a bin ready for compost. 13. Straw is an excellent source of carbon for your compost pile. However, it may contain weed seeds, so make sure the pile is "cooking" properly. 14. Compost decomposes fastest between 120 and 160 degrees F. Decomposition will occur at lower temperatures, but it takes much longer. 15. The perfect size for a compost pile is one that is at least 3' x 3' x 3'. It's not only a manageable size to turn, but it's ideal for retaining heat while still allowing air flow. 16. For faster composting keep your pile or compost bin in direct sun. 17. Don't throw away your kitchen waste in the winter - try an indoor composter. 18. Compost piles should remain damp but not too wet. As you build your compost pile, make sure that each layer is moist as it is added. The surface should also remain damp (think of a wrung out sponge), especially during the summer months. 19. Does your compost pile smell? It's probably due to a large number of anaerobic microbes, which are working hard to break down your compost, but creating a smelly situation in the process. To cut down on the anaerobic process, aerate your pile regularly, creating air spaces and limiting the anaerobic microbes while stimulating the less stinky aerobic microbes. 20. Help start a new compost pile with aged manure, cottonseed meal, alfalfa meal, blood meal, or compost starter. They are rich in nitrogen and help jump-start the microbes responsible for breaking down organic matter into compost. 21. Anything that was living at one time is great for compost bins. Think of leaves, vegetables, and grass clippings. 22. Compost piles can either be layered - thin layers of alternating greens and browns, or they can all be thrown in together and mixed well. Either way works! 23. Soak finished compost in water to "brew" compost "tea," a nutrient-rich liquid that can be used for foliar feeding or for watering plants in your garden, backyard, or houseplants. 24. Apply finished compost to your garden about 2-4 weeks before you plant, giving the compost time to integrate and stabilize within the soil. Click here for a guide to vegetable gardening. 25. For faster results, use a compost turner every two weeks to aerate your pile..